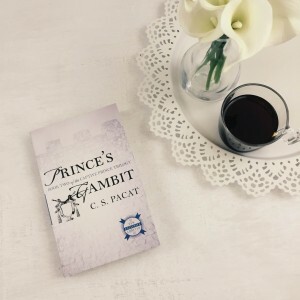 People were not lying when they said Prince’s Gambit is even better than Captive Prince. I found that hard to believe because I was already in love with the first book. However, Prince’s Gambit starts where Captive Prince left off and believe it or not it did get even better! I didn’t think I could love Damen and Laurent anymore than I already do, but I learned so much about Laurent that I found him to be admirable. His quick wit filled me with excitement. I never saw events coming like he did and it kept me on my toes. He may seem aloof, but every time Damen got him alone I saw deeper into his character. Not to mention the sexual tension between those two! Multiple times throughout the book I was screaming just kiss already! Maybe a hug? Hold hands? Something! I’m utterly in love with those characters. They had me laughing, yearning for them to be together, and maybe a tear or two at the end. Besides the thrill of their relationship there is also plenty of fighting and action scenes. C.S. Pacat made those just as enjoyable to read. There wasn’t a dull moment. There’s plenty of scheming going on between various characters and plenty of characters I ended up have a huge dislike for. I hope bad things happen to the Regent and I can’t wait to read King’s Rising to find out how this wonderful trilogy ends.